It was only after the death of his 80-year-old neighbor that Senior Airman Robert Evans of Dyess Air Force Base, Texas, learned all they had in common. Now Evans hopes his story of what might have been inspires others to do things differently. My neighbor, retired Maj. Max B. Olson, was a Vietnam veteran who had an arsenal of amazing stories. 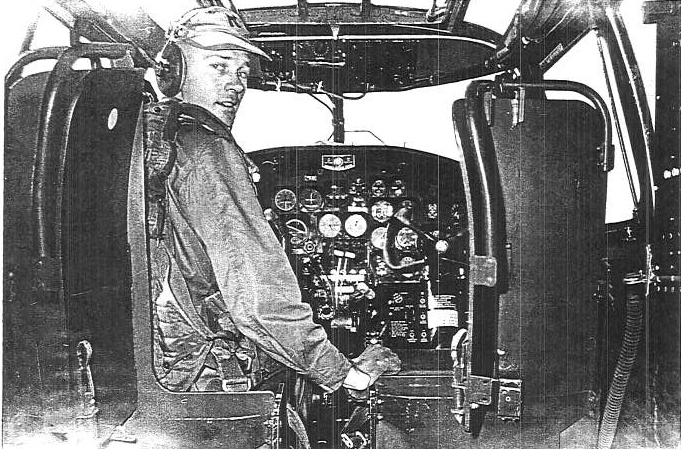 He was awarded the Vietnam Service Medal and numerous Air Medals, and was a graduate of several flight schools. He had nearly 6,000 flight hours. Throughout his Air Force career, he piloted the C-119, C-45, C-47, T-29, T-33, U-3, U-6, KC-135 and C-130 before retiring on Nov. 1, 1974. There were countless other accomplishments, but I will never know them through him. The first I knew of Max, age 80, was that investigators had found his lifeless body on Jan. 7 in his home and that he had probably died several days before of natural causes. He lived alone. His closest relative lived about 90 miles away. Life is busy. And that was my excuse for never meeting my neighbor. I lived 20 feet from him for more than four months and never took the time to introduce my roommates or myself to him. I now regret my thoughtlessness. More importantly, my household consists of five C-130 loadmasters out of Dyess Air Force Base, Texas; my neighbor was a C-130 pilot who retired out of Dyess. All aircrew members share camaraderie, especially crew members from the same air frame. We lost a brother we never knew we had, and we lost a man who carried a legacy that we desperately try to carry on. There is no doubt that my neighbor had a heart full of pride for what he accomplished over his 20 years of military aviation service, but we never gave him the opportunity to share it. We failed him as C-130 crew members, neighbors and fellow Americans. I know veterans take pride in sharing their stories because “once a soldier, always a soldier.” The same goes for aircrew. Suppose we had taken five to 10 minutes out of our weekly schedule to spend time with our neighbor. We could have heard about his flying experiences while sharing our stories about flying today. In the aircrew world, we share stories about our successes and failures; these stories are what ensure the safety of crews now and to come. Maybe if we had taken those five to 10 minutes a week to talk to Max, we would have known his health situation. Maybe we could have had him over for Thanksgiving and Christmas. And maybe we would have noticed the lack of activity at his house that should have raised suspicion. We will never know the truth to how we could have helped him, but we do know the truth in how we failed him. Let’s all learn from our mistakes and take the next step to not only better ourselves, but to better those around us. Just because we failed Max doesn’t mean we are giving up on him; his family has given my roommates and me the privilege of setting up his burial ceremony. We are going to do our best to make sure this ceremony is perfect on every level and grants the proper military respect and honors Max deserves. The ceremony is at 1 p.m., March 27 at Texas State Veterans Cemetery in Abilene. It is our prayer that our neighbor looks down from heaven knowing there are people thankful for everything he did for us and our nation. It is our goal to continue the legacy that he left behind.